The Aquarium de Paris, also known as CineAqua, is an aquarium located underneath the Jardins du Trocadero in the 16th Arrondissement of Paris, with unique features and a wide variety of marine life. 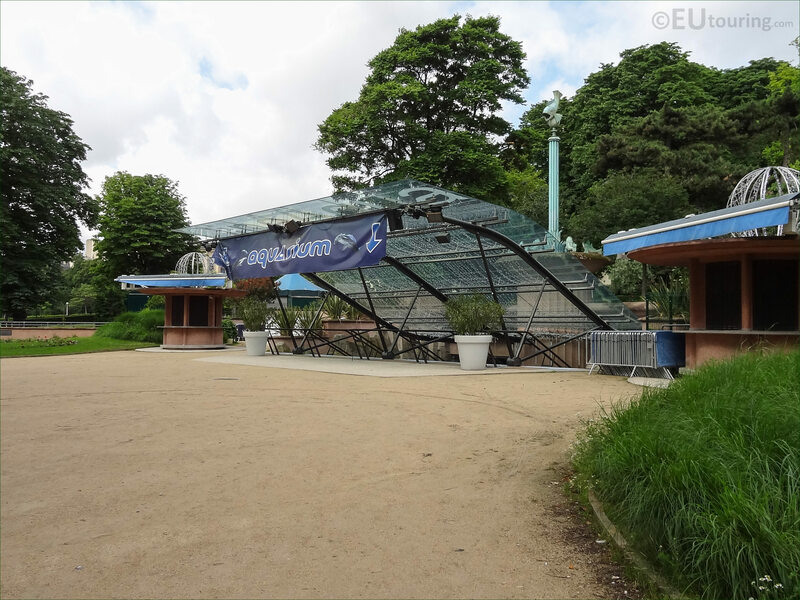 This first HD photo shows the entrance to the CineAqua, Aqauariuim de Paris, which is located on the eastern side of the Jardins du Trocadero, and originally designed for an 1800s World Fair, it was originally named the Aquarium du Trocadero. 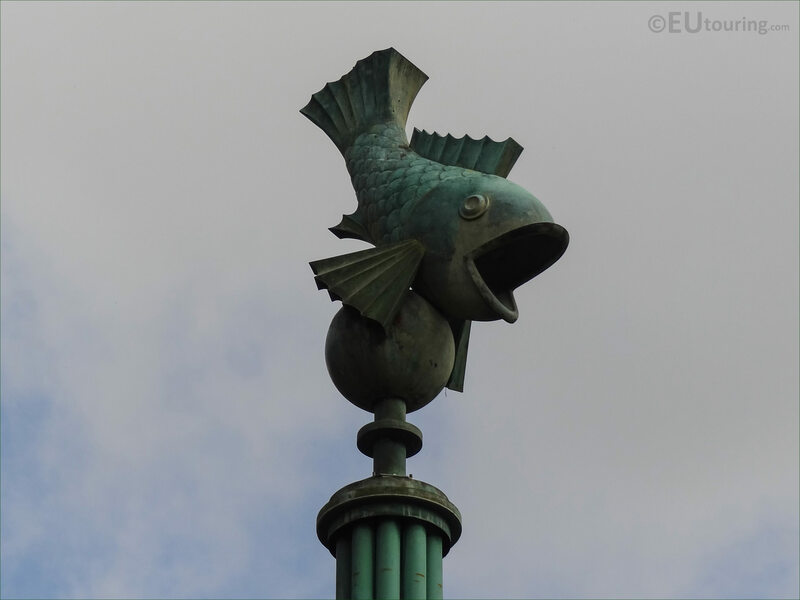 Underneath the Trocadero Gardens were old quarries, which is where the Aquarium de Paris was installed, and only the entrance is visible above ground, yet on a pole on the top of a column at the entrance you will find a very apt emblem of a fish that can be seen from a distance, and in fact there is even a fish tank where people can feed the fish, touch them, etc. 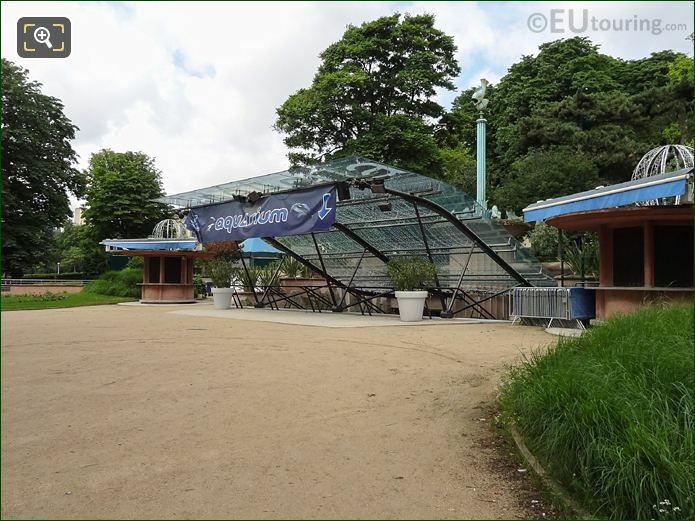 The Aquarium de Paris, also known as CineAqua is a very impressive aquarium right by the Palais de Chaillot, which is the building you can see in the background, and with approximately 10,000 fish and invertebrates covering different parts of the world such as Europe, the Caribbean, Polynesia, Mediterranean, etc, it is also home to the largest fish tank in France. 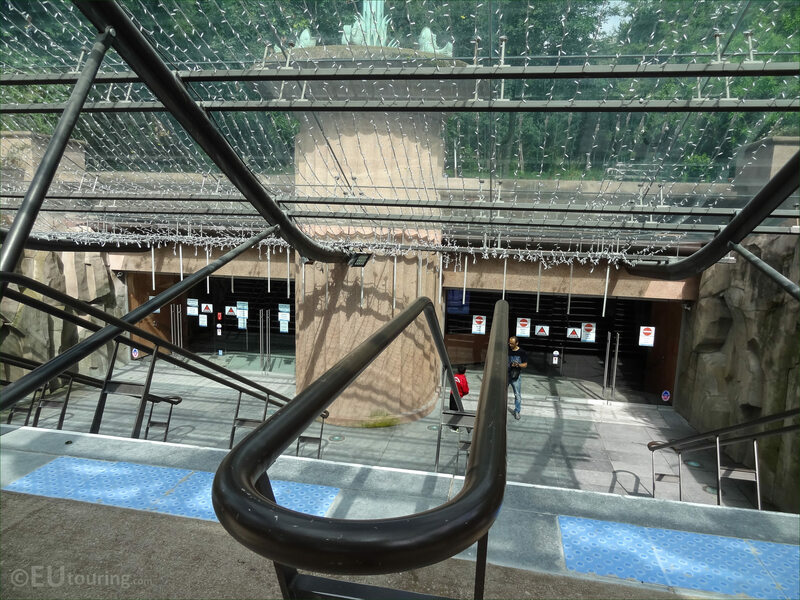 Here you can see a photograph showing the view looking down the steps of the entrance to CineAqua, Aquarium de Paris from above and open daily from 10am through to 7pm, this is ideal for a family day out, with many events also organised on the stage that has an enormous fish tank as its backdrop. You will find the CineAqua Paris Aquarium located in the eastern part of the Jardins du Trocadero, which is in an English styled part of the garden, and when you are looking at this tourist attraction from the River Seine, the entrance is located in an area to the right hand side of the famous Trocadero Fountain. 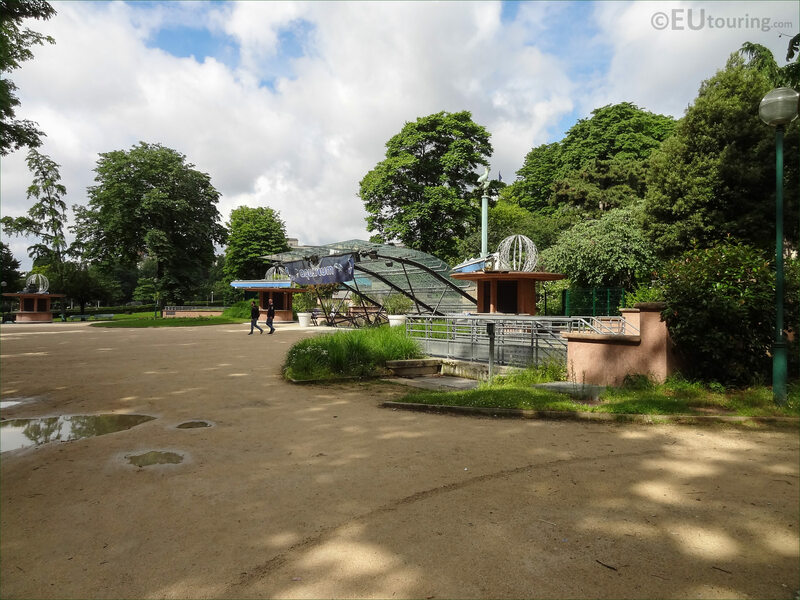 We mentioned earlier that the Aquarium de Paris has the largest tank in France, and this is home to twenty-five sharks along with many other species of fish, and you can actually walk through a tunnel to see these impressive creatures up close. 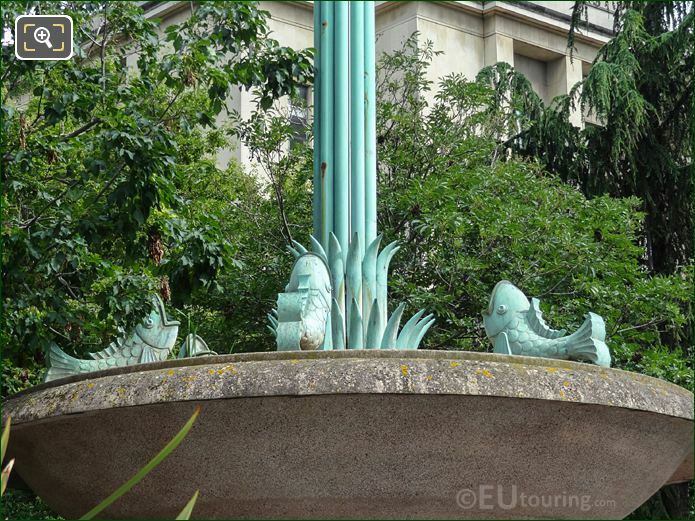 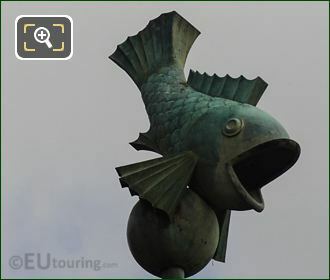 Now in this image you can see some sculptures of small fish that were cast in bronze and positioned at the base of the column at the entrance to the Paris Aquarium, but it is not just tropical fish that you will find here, as there are sections showing varieties of coral and even one dedicated to The Seine, showing the bio-diversity of marine life throughout the world and in different environments. 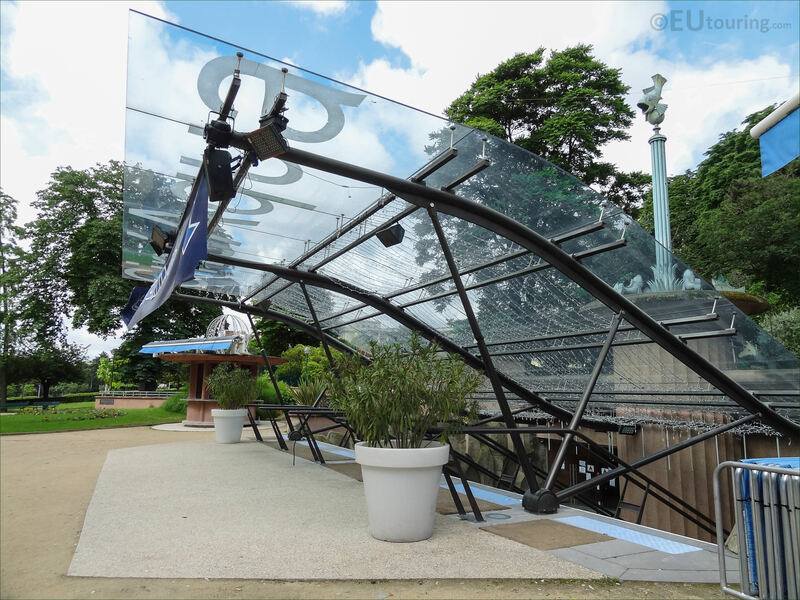 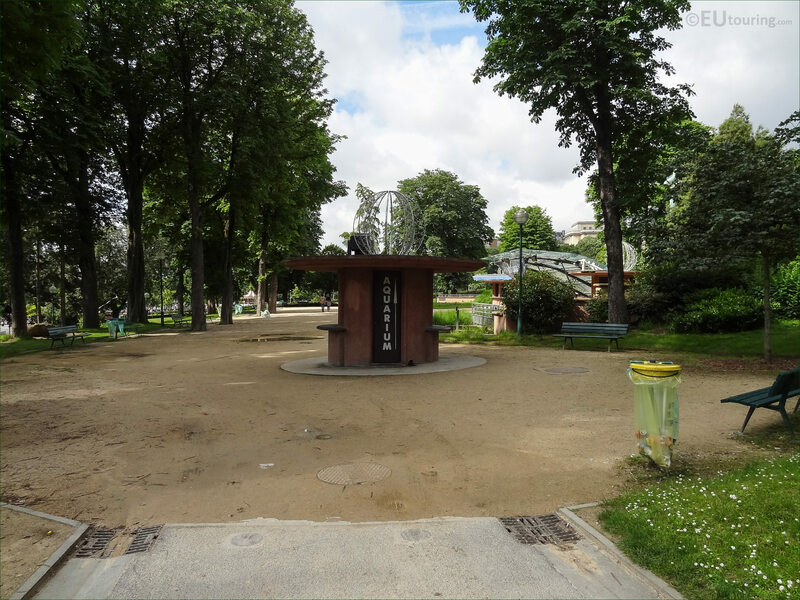 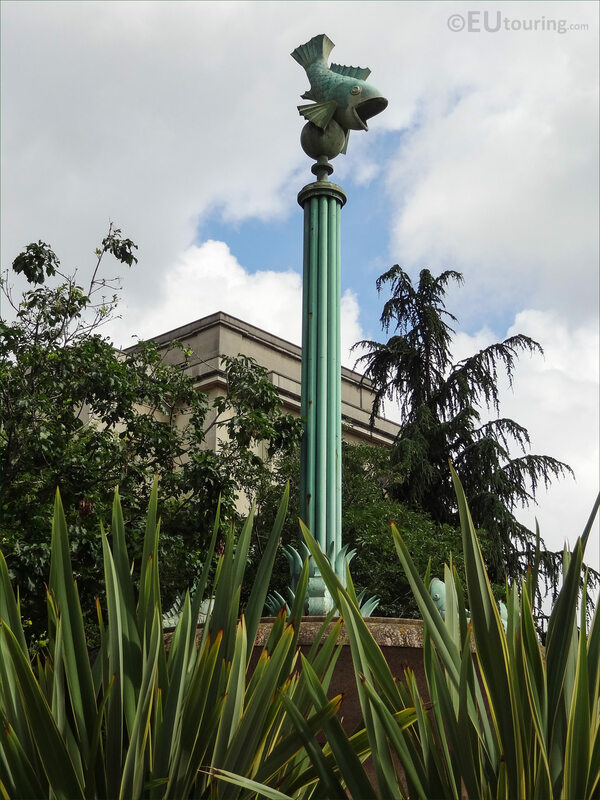 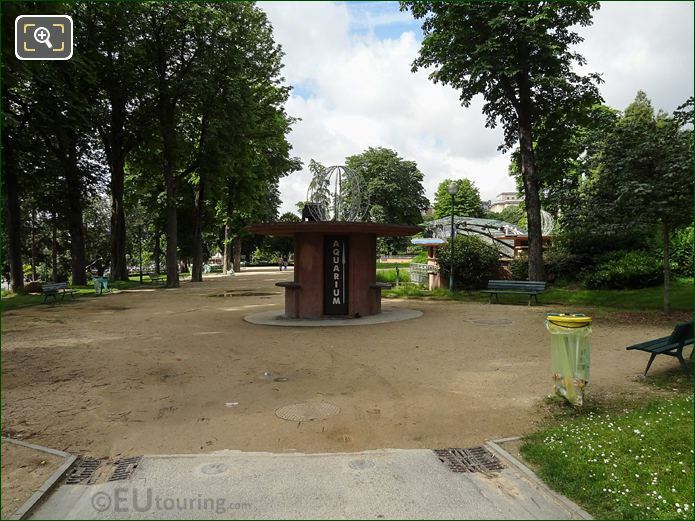 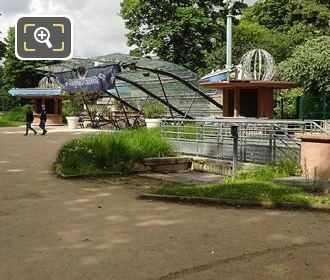 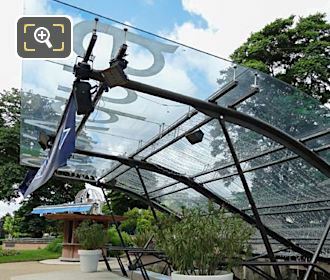 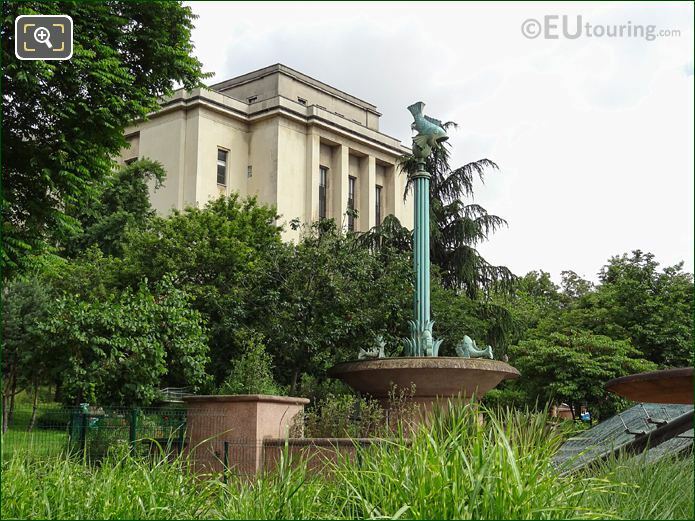 Whereas this photograph shows the area just by the entrance for the Aquarium de Paris, with its emblem of the globe on top of what would have been a little kiosk, which is located in the middle of a small seating area that is ideal for a place to stop and rest weary feet before or after having a family day out at this spectacular attraction. Although this shows another angle of the modern entrance with the glass covering stating CineAqua, as this aquarium is known by two different names, and although this entrance has steps, the place is suitable for the disabled with elevators in place and gradual sloping walkways throughout this popular tourist attraction. 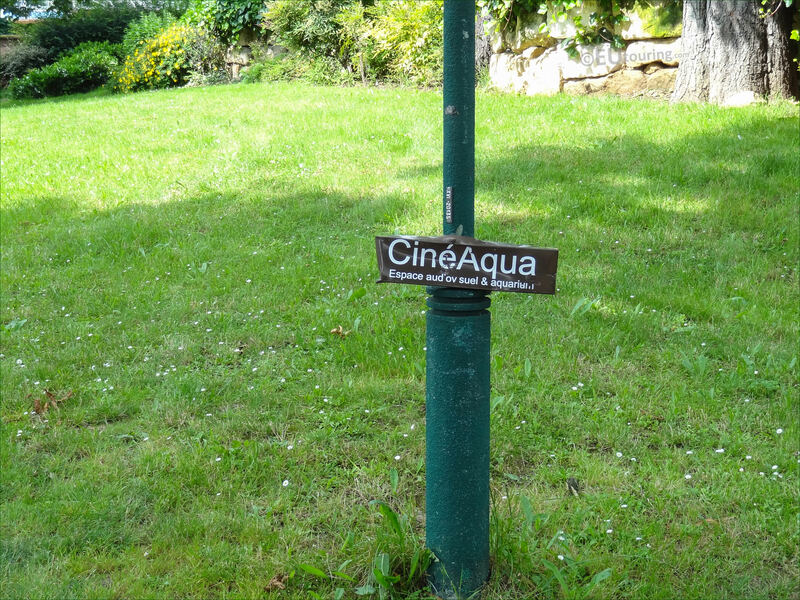 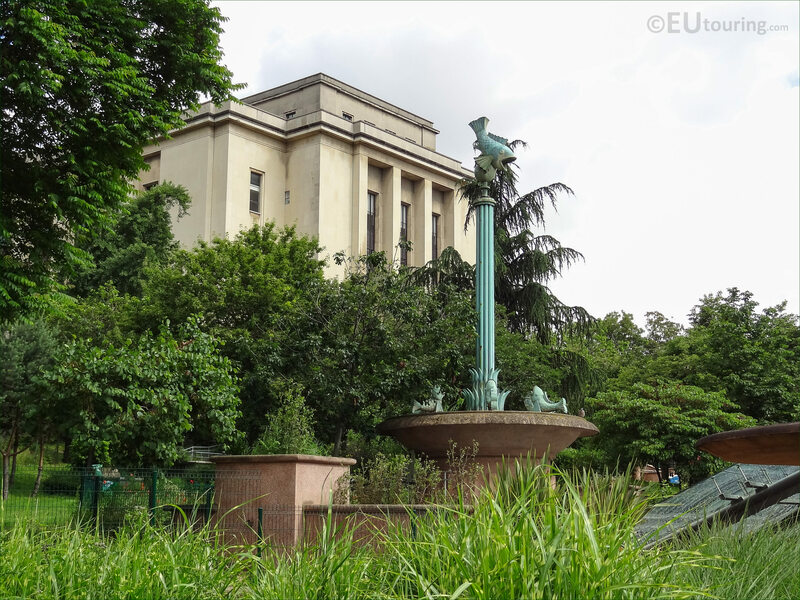 Here you can see a sign on a lamp post within the Trocadero Gardens stating CineAqua, and this name came about due to the fact that as well as a stage, there are actually two cinemas located within the aquarium, one showing family movies and another showing documentaries and short information films like National Geographic, etc. 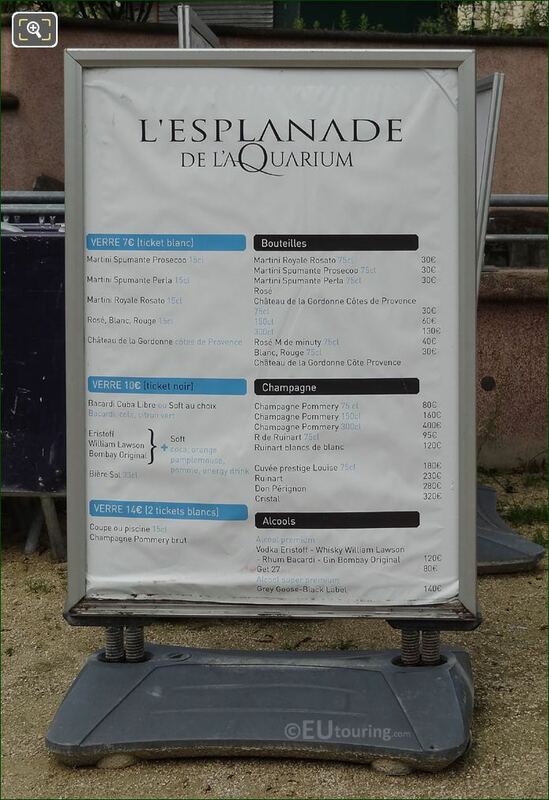 Yet here you can see a board showing alcoholic drinks that are available at The Esplanade of the Aquarium, as it translates to in English, however, inside the Paris Aquarium there is also the Zen Cafe providing snacks, beverages and main dishes, where you can enjoy your meal in a unique setting alongside one of the fish tanks.